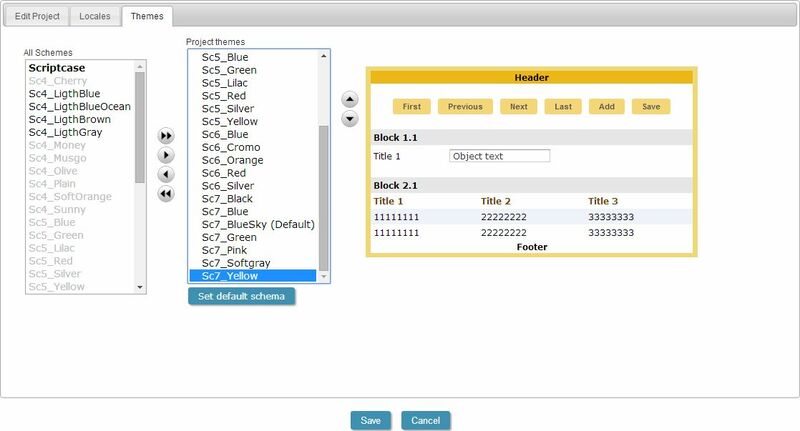 This option changes the project´s attributes. Project Short Description - Update project short description. 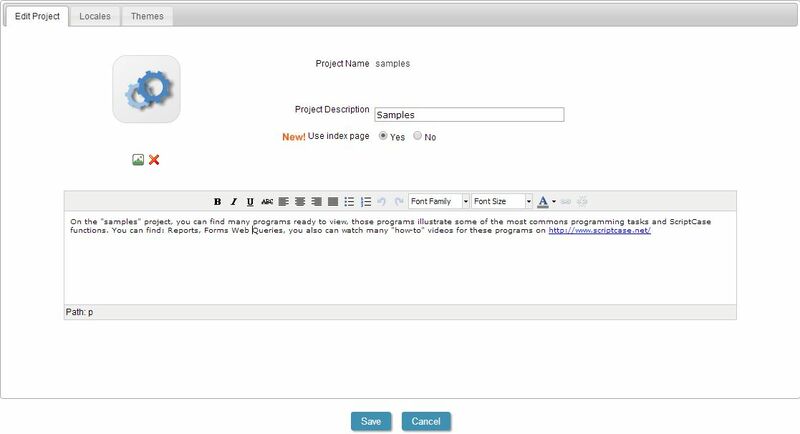 Use index page - This option allows you to call the applications of your project without inform the filename. 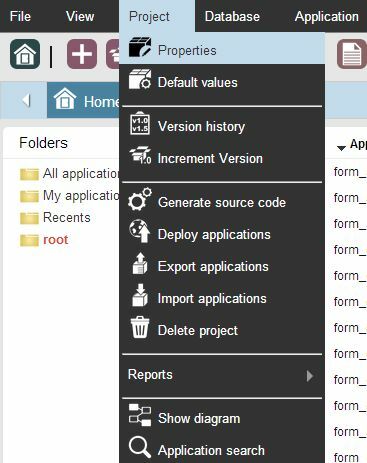 For example: The application "http://mydomain/project/form_01/form_01.php" could be called just using "http://mydomain/project/form_01/"
It is possible also to update the project complete description. Use the textarea with editor features provided by ScriptCase. Select the languages available in the project from ScripCase language list and set the project default language. 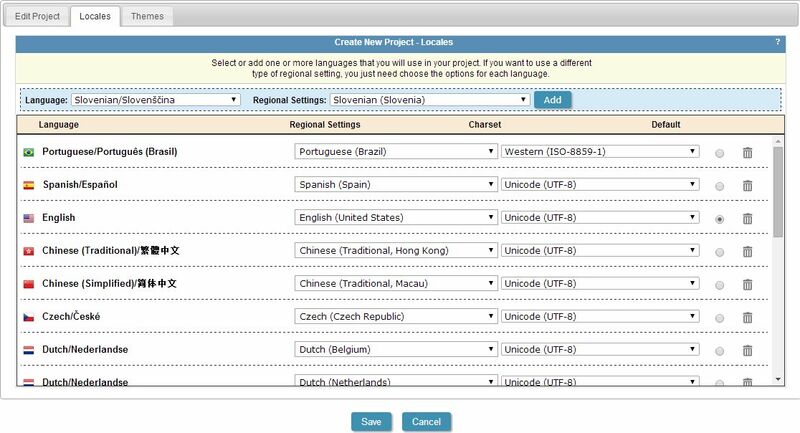 Use the interface below to add or remove languages to the project. Click in Set default to update the project default language. When a default language is not selected ScriptCase will select a default value based on the user browser values or the system settings. Locales - It is the combination of language and regional settings. So a country with more than one language may have a regional setting and more than one language, ex. : English (Canada) and French (Canada). These relationships (locales) are available at project creation or editing. Image4: Selecting themes for the project. Themes - Define schemes available to the applications.